"Old Astoria" is in the 27th Ave and 1st Street area. I think almost everyone agree that from this point, around 30th Ave all the way up to Ditmars area, it is clearly Astoria. I think most would agree though that Astoria and LIC borders on 34th Ave. but I think Real estate agents always extend Astoria borders around 36th Ave.
Its 34th Avenue. Please don't listen to Real Estate Agents they just use Astoria or LIC depending what the clients like. Newer people prefer LIC because its more hip. Astoria is more traditional/old school. I lived in Astoria all my life and prior to the 1990s you would never hear anyone say, Long Island City. Even as far out as 39th Avenue. When gentrification came in and the street hookers disappeared, LIC became cool. 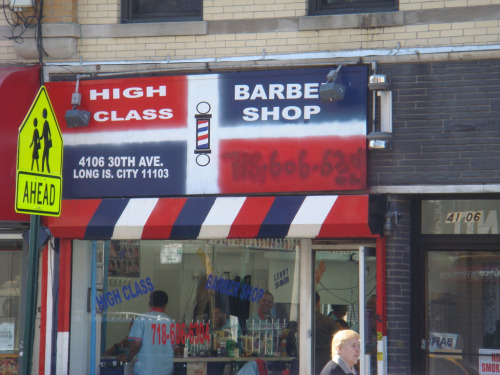 This photo (from the Astoria Ugly website) proves 30th Ave is in Long Island City. And I've proven Astoria/LIC is wherever you think it is. I've lived in 11101 for 35 years, and had the same mailman for the first 20, he always said the border was 34th ave according to his postal training of the 1970's.